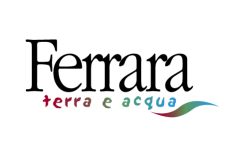 Alberto will participate to the meeting of the International Sedimentological Association (IAS) and the Association des Sédimentologistes Français (ASF) next week in Toulouse. This event represents a very interesting opportunity to connect with a wide range of experts in this sector sharing new ideas and concepts. For this occasion Alberto will be the chairman on the Carbonate diagenesis session on Wednesday October 11th and will also display a poster on “ Facies variability, depositional systems and fracture characteristics around a carbonate structural high: the Matera High (southern Italy) as a Tertiary analogue for subsurface systems in the Mediterranean Sea” on Thursday October 12th. Enjoy the meeting!